Flowers are the most appealing invention of nature and attract everyone alike. They epitomize different emotions like love, respect, romance, celebration, friendship and happiness. 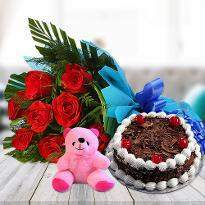 If you also want to convey your emotions to your near and dear ones then choose online flower delivery in Allahabad. It would be the perfect way to reach in the heart of near and dear ones. 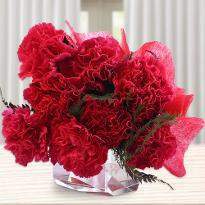 Our online flower includes roses, carnations, gerberas, orchids and lilies. Explore our wide collection of flowers and choose the apt one. Flowers are the gorgeous gift that you can undoubtedly present to your loved ones. They are the symbol of adoration, care, elegance and many more. 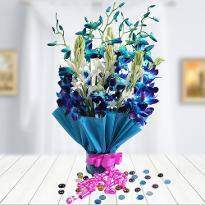 Winni is a pioneer when it comes online delivery of Mother's day flowers in Allahabad. We deliver fresh flowers with utmost care and sincerity. Different variety, as well as the color of the flowers, are adding grace to our online portal. Browse our enormous range of flowers and choose the desired one. Order and send online to your loved one’s doorstep who is living in Allahabad. Winni is a synonym of worth and commitment. We strive to deliver the best product on time with our seamless delivery service. You can easily send flowers online from Winni with just a few clicks. 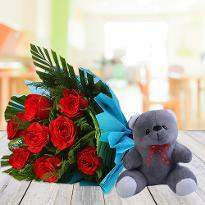 You can add romance to your relationship by sending Valentine flower to Allahabad from Winni. Birthdays, anniversaries, Mother's day or any celebration we have a huge collection of blooming flowers that will pleasantly astonish your beloved ones. We truly understand your emotions for your loved ones. Therefore, we are providing different delivery slots so that you can send your emotions in the form of flowers conveniently. Cheer up your near and dear ones by presenting a beautiful bouquet of online flowers. The enthralling beauty and hypnotizing aroma of flowers can uplift anyone’s mood. Winni provide a hassle-free online Father's day flowers delivery in Allahabad so that you can convenient buy flowers online. Flowers work wonders in every occasion be it Birthday, Anniversary, Father's Day, Rose Day, Valentine's day or any other special day. At Winni flowers are available in different designs as well as arrangements so that you can buy the gorgeous one. 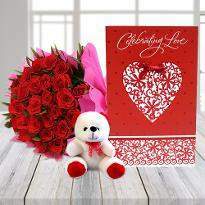 You can send the vivid Valentine flowers from Winni and create some wonderful memories for your lover on Valentine Day. 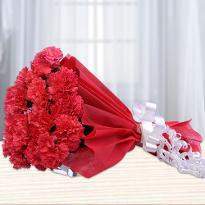 Our early-morning flower delivery in Allahabad will brighten up the day of your special one with its essence and beauty. 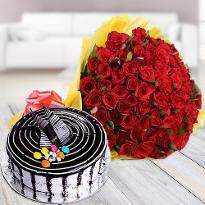 Not only flowers, but you can also send cake to Allahabad in the early morning by choosing early-morning cake delivery. So, don’t hesitate and rely on us and place your order for home delivery. We do provide different variety of Mother's Day flowers, Birthday flowers, Anniversary flowers and many more. The flowers are VERY fresh and beautiful! Service is excellent and always with a smile. They go out of their way to do special things for their customers! I find their prices moderate too, So thank you Winni.